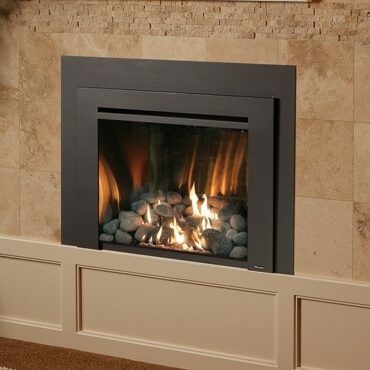 The 616 deluxe gas fireplace insert is all about showcasing a big, beautiful fire displayed through an extra-large viewing area. The glass viewing area on this model is up to 20% larger than most other inserts its size, making it a stunning focal point as well as a heater for homes up to 2,000 square feet. The 616 offers you the best in quality, performance and convenience, as it comes standard with interior Accent Lights, convection fans, and the GreenSmart™ 2 handheld remote which allows you to control every function of this insert from the comfort of your favorite chair.